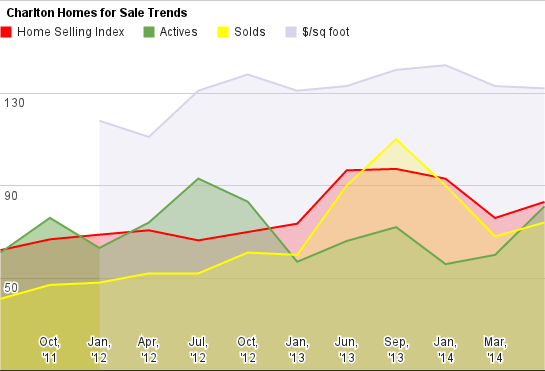 A quick look at the price activity shows a steady as they go report. Consitent ask prices, and consitent sale prices. 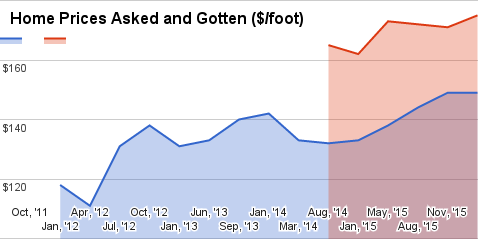 But if we look closer, at the data behind the front line numbers, we see things getting tougher for buyers. 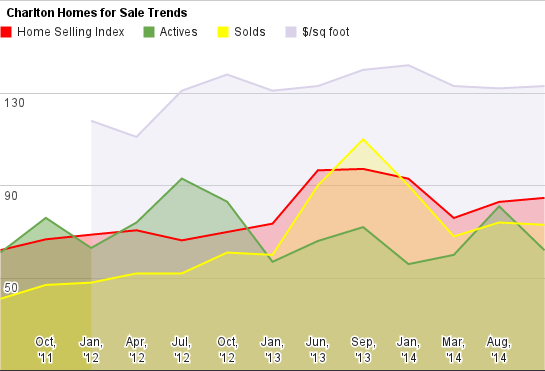 Charlton is seeing rising prices - and a late season of home sales. But on paper, the HSI is only 110, so what's going on? 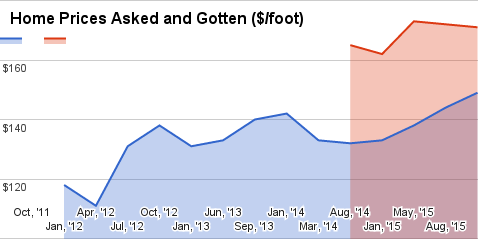 And why are sellers asking such high prices? 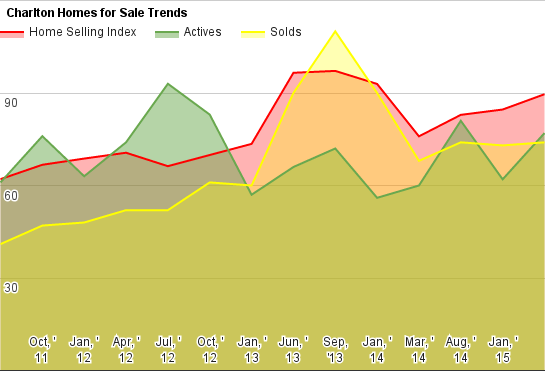 Transaction volume and active homes are keeping pace - but it's not clear for how much longer.